Swift Institute of Nursing is situated at Ghaggar Sarai, Seven Km from Gagan Chowk, Rajpura towards Ambala Side. This proposed Institute is being introduced by the Swift Fundamental Research & Education Society (SFRES). The institute offers Diploma in General Nursing Midwifery (G.N.M.) and degree in nursing (B.Sc. Nursing), B.Sc. Nursing (Post Basic) & M.Sc. Nursing. At SION, our motive is to provide a comprehensive and practical based education to its students. We aimed at creating skilled industry ready young professional who better understand the needs of medical industry. 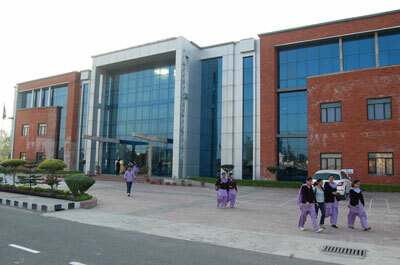 With its unique and entirely practical based learning approach, SION has emerged as a brand name in imparting quality based education in the nursing. In future institute is going to become one of its own kinds in imparting the liberal education (intellectual, moral and physical) of international standards with a view towards all- round development of the students; to promote professional education in the field of nursing at Diploma and Degree level and to cater to the needs of the people at large. This is an important landmark in the history of rural and historical belt of Patiala district, as these educational activities will lead to better health services and quality patient care. This institute has a very magnificent and centrally air-conditioned building with spacious class rooms, well equipped science labs, demonstration rooms, etc. All the laboratories are well equipped as per INC/BFUHS norms. The students are imparted Community Health Training in both rural and urban areas.